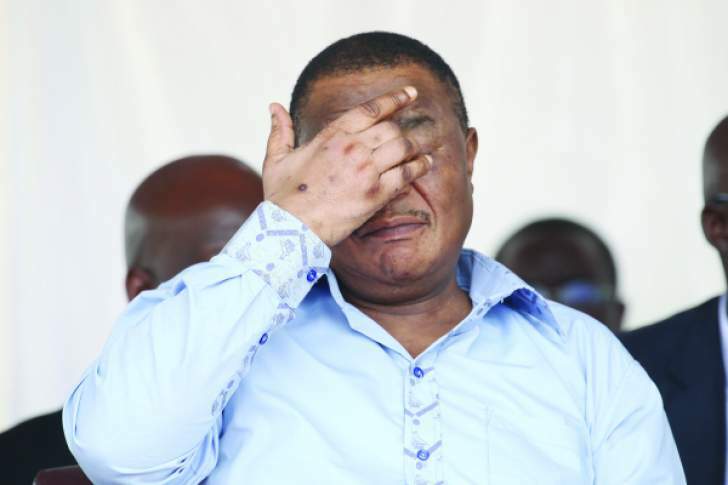 ACTING President Constantino Chiwenga has castigated abuse of social media to cause panic buying of fuel and other basic commodities. Officiating at the launch of the second phase of the centre pivot irrigation facility under the special maize programme at Farnley Farm in Chegutu yesterday, the Acting President took a swipe at wholesalers and retailers wantonly increasing prices of basic commodities that has resulted in the suffering of ordinary people. "We are currently facing problems with fuel and some are now hoarding the commodity," he said. "There are some who are now abusing social media to exacerbate the situation, resulting in people rushing to stock the commodity. "We should avoid that because there is no journey that does not have obstacles." Acting President Chiwenga urged Zimbabweans to avoid stocking fuel in their houses as it was dangerous and could result in loss of life and property. "It is not right to cause unnecessary panic and we urge Zimbabweans not to panic," he said. "We expect that fuel be used in productive sectors. As Government, we are looking at ways to alleviate the problem so that it is solved in the shortest time possible, but we should use our resources responsibly." Acting President Chiwenga called on Zimbabweans to instead use social media for nation building. He said Government was working with farmers, miners and industry to deal with ways of improving foreign currency availability. "We work with farmers, miners and industry to deal with issues of foreign currency generation," said Acting President Chiwenga. "From farmers we get most of our foreign currency from tobacco, while from mining we get it from minerals such as gold, platinum and chrome. "From industry we would expect that they produce not only for local consumption, but for export. However, the issue is we get most of our foreign currency from tobacco so the revenue inflows from the crop drop when we are not in the selling season. "It is because of that that we call on everyone to work hard to grow our economy." Acting President Chiwenga said while it was incumbent on every Zimbabwean to create wealth, it was wrong to take advantage of the situation to increase prices. "Because of this, you have some wholesalers and retailers raising prices unnecessarily," he said. "I do not know whom they think they will be punishing because it affects all of us. "That is why Government has adopted austerity measures as part of measures to turn around the economy. It means we should all pull in the same direction so that we build our country." Acting President Chiwenga reiterated that Government had no capacity to pay civil servants in foreign currency, saying the money was reserved for the productive sectors.